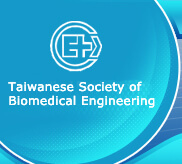 The Taiwanese Society of Biomedical Engineers was established on December 25, 1980 by then Dean of National Yang-Ming Medical University, Dr. Wei Han. Since its establishment, TSBME’s objectives have been to research and promote medical and biological engineering technologies, promote technological progress and improve health industry standards to enhance the general wellbeing of society. 1981.07 The 1st issue of “Proceedings of the Biomedical Engineering Society of the Republic of China” was published. 1983.12 The 1st Annual Symposium on Biomedical Engineering and Technology was held. 1985.07 The Society was affiliated with the International Federation for Medical and Biological Engineering (IFMBE). 1990.03 The Education Committee, Promotion Committee, Membership Committee, and Finance Committee were founded. 1991.06 The working group of Academic Section, Service Section and General Affair Section were founded. 1993.03 The exhibition tour of “Application of Medical Equipment with high risk” (supported by Department of Health) and “Safety and Application of Medical Equipment” were conducted. 2004.03 The license change of Clinical Engineering and Technologist of Medical Equipment was conducted. 2004.12 The”Creativity Competition on Biomedical Engineering Designs” was held. 2009.01 The Society Publication, JMBE, becomes bimonthly.